Jo and Richard Bennett win pub of the year award for second time. The three worthy winners of the 2018 Swansea and Neath Port Talbot ‘Pub of the Year’ competitions have been revealed. 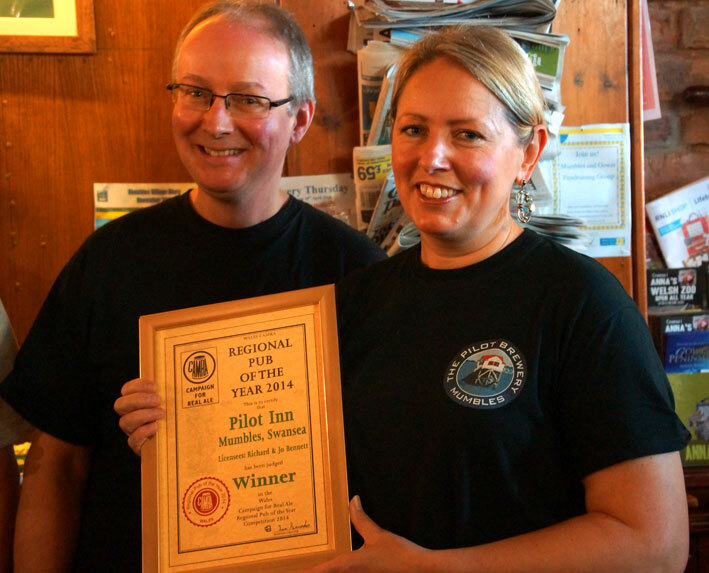 Jo and Richard Bennett of The Pilot of Mumbles are delighted to have been awarded Swansea’s pub of the year for the second time since they took over the premises in 2012. The couple, who also brew their own beers at the pub, last won the accolade in 2014, and their recipe of great ales and a warm welcome has won them the prize again this year. “The Pilot offers a great choice of real ales both from its own on-site brewery, but also from breweries further afield,” said Good Beer Guide co-ordinator Donough Shanahan. 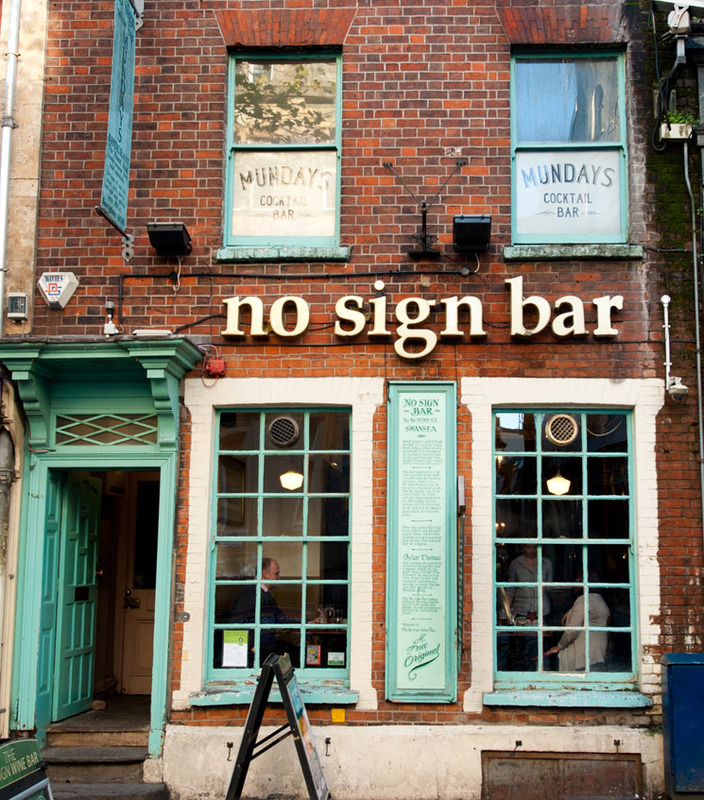 Swansea’s Cider Pub of the Year is the No Sign Bar on Wind Street, Swansea. “The No Sign was chosen as our cider pub of the year as it consistently serves an ever changing selection of five excellent ciders,” said Donough. The Pilot and the No Sign were on a shortlist of three pubs, which also included the Queens Hotel, in Gloucester Place – last year’s pub of the year. In the Neath Port Talbot area, the excellent Ancient Briton at Pen y cae won both pub of the year and cider pub of the year titles. 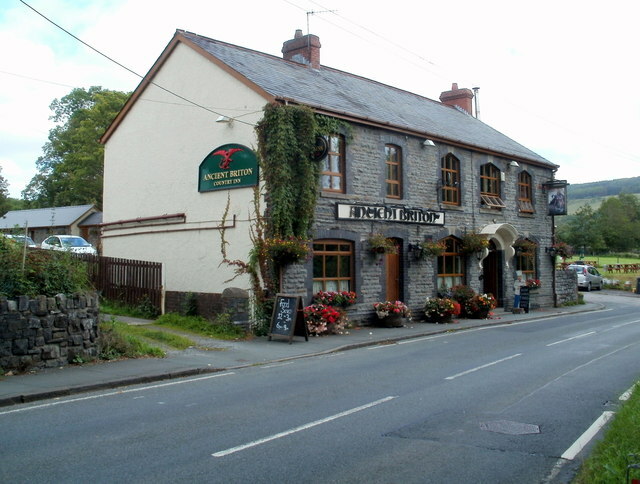 “This year, members drew up a shortlist of three pubs to go through to the final stages of the pubs of the year and, in both categories, these pubs were: Ancient Briton, Pen y Cae, Corner House, Ystalyfera and the Pontardawe Inn, Pontardawe,” said John Hopkins, chairman of the Neath Port Talbot sub-branch. “The Ancient Briton was judged the winner of both competitions as members found this pub to serve the largest range of real ales from different breweries, plus up to three real ciders were always available. “However, beers and ciders are not the only factors to be considered (although they are the most important! ), the Ancient Briton also impressing with its pleasant surroundings, décor, and service. “It is heartening to see the number of pubs in the borough now serving real ales and real ciders, increasing the enjoyment and variety of the pub of the year competitions,” added John. Presentation of the certificates, at the Ancient Briton, will be on May 14. Camra members - see the Events page for details of forthcoming meetings, trips and festivals.